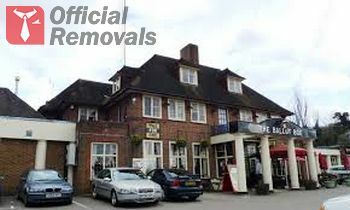 If you are looking for an affordable and highly efficient way to relocate your place of business, then you can find the right type of service at the right price with Greenford Office Removals. We are a locally based, professional removals company, which specialises in all types of office and certain commercial removal services. Our technical expertise and attention to detail are unrivalled. Being an active part of the professional removals industry has allowed us to gain invaluable expertise and a detailed understanding of what makes a genuinely good removal service, and what customers actually expect of one such service. Although we provide highly comprehensive office removals that are worth customers’ time and money, we don’t favor overly complicated business formats and we always try to keep our service provision as simple and straightforward as possible. The way we do business is fair, and unobscured by fancy words or over the top service terms and conditions. Quite the opposite actually – you tell us how you want things done, and we make sure to have everything organised and carried out in accordance to your requirements and budget constraints. Obviously, this is easier said than done, and most people, who have undergone full scale office relocations in the past know how demanding the whole process really is. Indeed, so, but our qualified relocation specialists will visit your property for a preliminary job viewing and determine how to organise and carry out the removal within the shortest time possible, and with minimum cost and disruption to your staff duties. This is good news for customers, as everything from packing and securing of your office contents, to unpacking and distributing items at your new address will be handled with professional pace and efficiency. We also guarantee customers safe handling and damage-free transportation from A to B, as Greenford Office Removals works with dedicated, experienced movers, who have the skills and qualification to cover all aspects of your office relocation and cancel out the margin for error. The company is fully licensed and insured, and works in accordance to applicable health and safety industry regulations. You can hire our services in less than five minutes by either giving a telephone call, sending us an e-mail or fill the on-line booking form which we have posted on our website. Don’t be timid to contact us directly if you wish to ask us questions about our company and the methods by which we carry out the business removal in Greenford, UB6, for which we are hired. Also, feel free to seek the assistance of our consultants if you are having troubles with the bookings process. They are here to help you to the best of their abilities. The London Motorcycle Museum is perhaps the most visited and well-known landmark in Greenford. The venue was established in 1999 and as the name suggests is dedicate to the history and evolution of British motorcycles. The museum has a rich collection of items and according to the studies is visited by over 250.000 tourists annually. The Greenford Heritage Centre is another popular touristic venue.